First, the card. I'm playing along with Just Add Ink where the challenge is cards for males. I've used an NBUS set from Craftwork Cards, and mixed a bottle green from Pine Needles and Forest Moss Distress Inks. The sentiment is from STAMPlorations Party Time. You've still got a week to enter the Craft Stamper Take It, Make It challenge - pens and pencils. A randomly chosen winner will get a stamp plate from Chocolate Baroque, and the winner chosen by the Design Team will get their project published in the magazine, a winner's profile in the mag and on the blog, and a guest design spot. Click here for all the details. 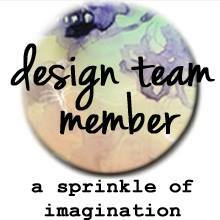 Starting in September, I'm thrilled to be part of the Design Team for A Sprinkle of Imagination! 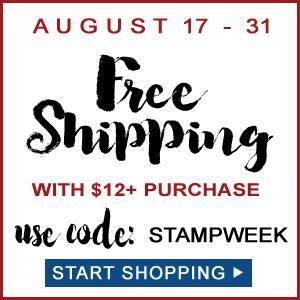 Pop back tomorrow for the launch of my new stamp set, PartyDresses, with a mini blog hop. Such a great, unique, card Shirley. The combination of greens is perfection, for bottle glass. Love this! 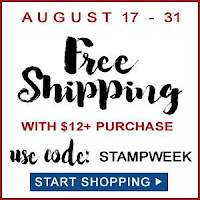 Thanks for joining in the fun at Just Add Ink this week. Very cool! I love the shadow, Shirley! And, the beautiful shades of green! Congrats on your new DT gig! Okay...a beer bottle sporting some words...beyond cool! In fact...dear hubby happened to wander into my craft room and saw your card and actually commented "Oh, that's cool"....he is a man of few words, so in his books (and mine) your card rocks! The bottle rings are beyond fun! 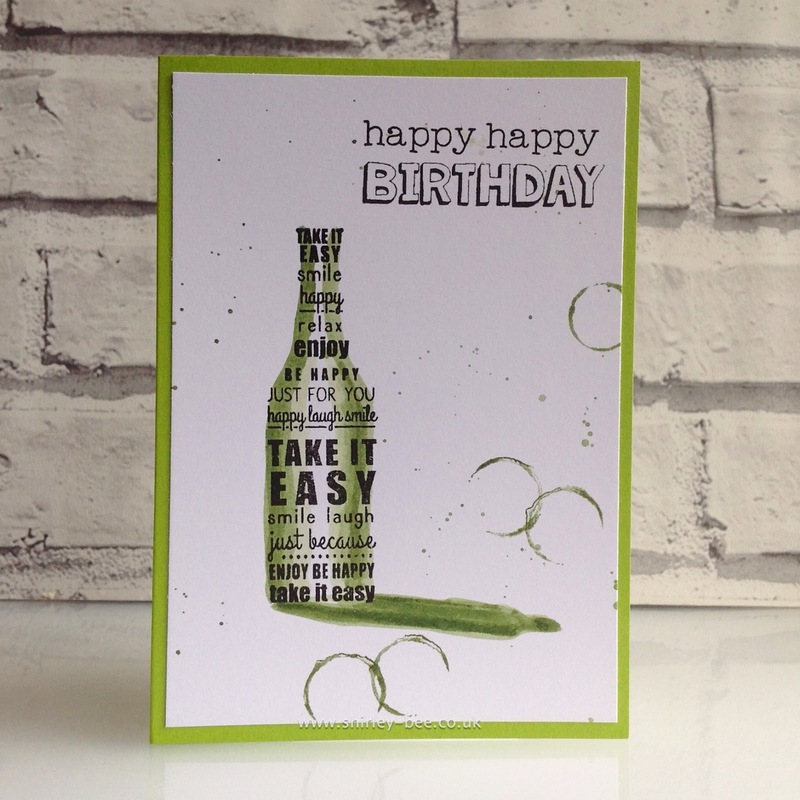 Love that beer bottle and the bottle rings on the card to match it! This looks awesome Shirley! Love the green! 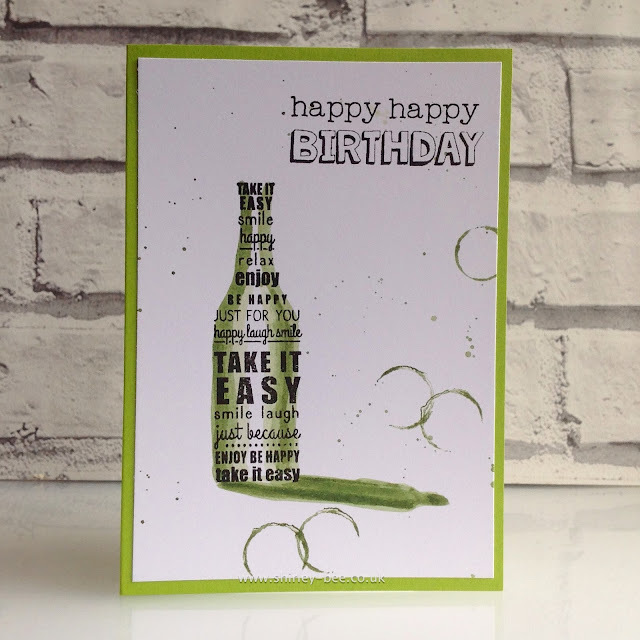 What a cool male card Shirley, your bottle looks great, l love the green glass. Thanks for joining us at Just Add Ink. Love the image and design of your card, Shirley. 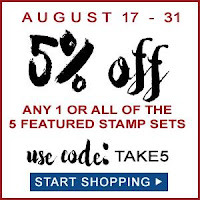 Congrats on a new design team and a new stamp set.